You've added Potsdam's Gardens, Berlin Cathedral, Potsdamer Platz, and other attractions to your itinerary. 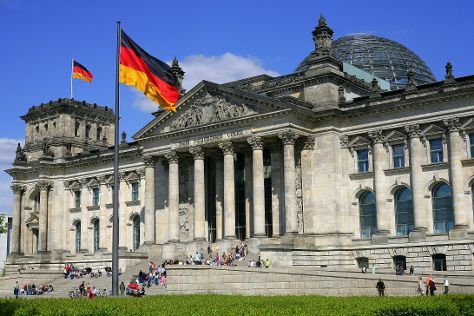 There's lots more to do: see the interesting displays at Museum Island, take in nature's colorful creations at Tiergarten, pause for some photo ops at Victory Column (Siegessaule), and steep yourself in history at Berlin Wall Memorial. To see ratings, traveler tips, other places to visit, and other tourist information, read our Berlin travel guide. If you are flying in from Spain, the closest major airports are Berlin-Tegel International Airport and Berlin-Schönefeld International Airport. Expect a daytime high around 26°C in June, and nighttime lows around 14°C.